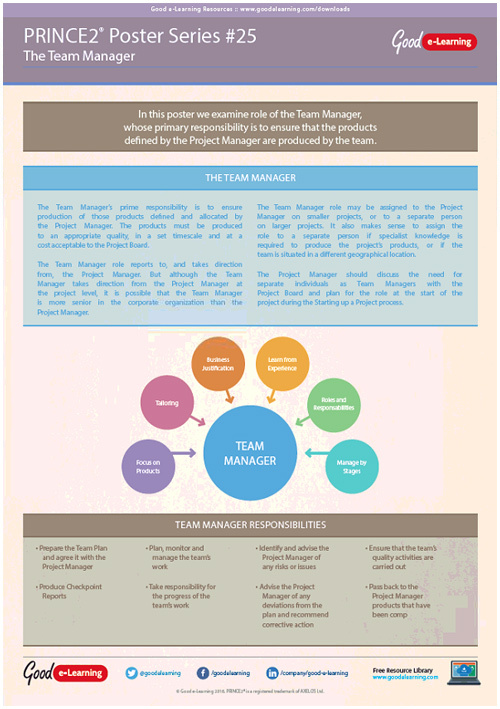 In this poster from our PRINCE2 series we examine role of the Team Manager in PRINCE2 projects. It is the Team Manager’s primary responsibility to ensure that the products defined by the Project Manager are produced by the team. Download this PRINCE2 poster today to see how by clearly defining the role of the Team Manager can benefit any organization.